If you’ve ever eaten at a Korean restaurant then you most likely know the thrill of make-your-own barbecued bulgogi featuring grilled beef or pork wrapped in a crisp lettuce leaf along with any number of condiments. 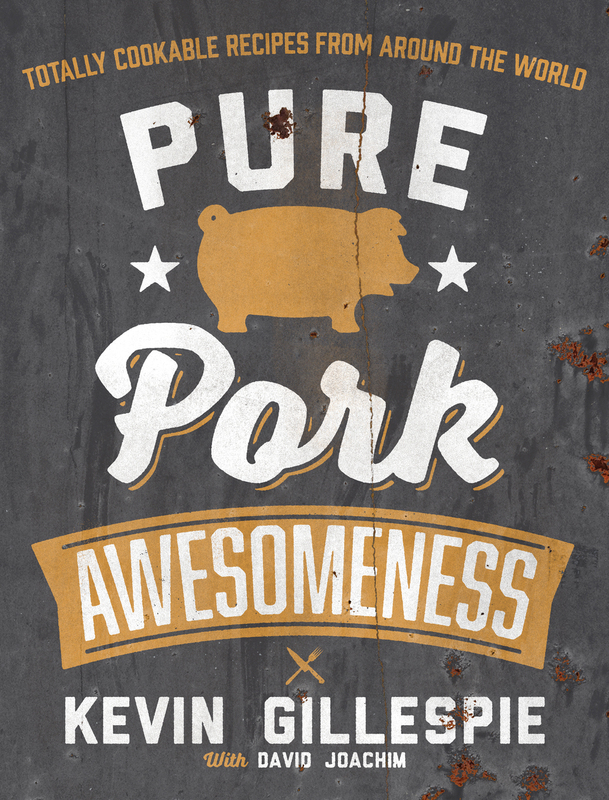 Today Top Chef favorite Kevin Gillepsie shares his recipe for this Korean BBQ classic, one that is featured alongside nearly 100 other mouth watering recipes in his new cookbook Pure Pork Awesomeness (Andrews McMeel Publishing 2015). In a gallon-size zip-top bag, combine the soy, sugar, sesame oil, chili powder, and garlic and smush to combine. Add the meat and smush around so all pieces are well coated. Squeeze out the air, zip the top shut, and marinate for 15 minutes at room temperature. The meat is so thin and the marinade so strong that a quick marinade is all this needs. In a large bowl, whisk together the mayonnaise, chili sauce, ginger, 1 tablespoon lime juice, the salt, and the sambal oelek. Taste and add more sambal oelek if you like it spicy. Grate the carrot on the largest hole of the box grater; you’ll get about 1 cup. Squeeze dry in a paper towel, then toss the carrot, cabbage, and half the scallions with the dressing to combine. Heat a grill pan over high heat. Remove the meat from the marinade and discard the marinade. Working in batches, grill the meat in a single layer for 30 seconds, then flip and grill for another 30 seconds; it will shrink and get some good color and grill marks. The meat is so thin that it should cook through in this short amount of time. Transfer the meat to a plate and stack. Slice the meat crosswise into 1-inch slices. Layer the meat and slaw on the lettuce leaves and garnish with the remaining scallions. Good to Know: Look for thinly sliced pork shoulder at Korean markets. It’s pretty common. Or just ask your butcher to thinly slice some boneless pork shoulder for you. Call ahead, because they usually freeze the meat for a little while to make it easier to slice paper-thin. You could also do the same thing at home.